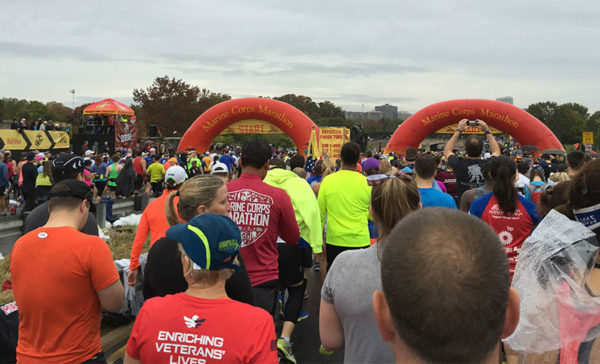 The Marine Corps Marathon is offering a new option for runners hoping to kick the intensity up a notch this year. For the first time ever, the annual race’s backers are planning to put on a 50-kilometer “ultramarathon” alongside two other distance options this fall. The ultramarathon will be held on the same day as the 44th iteration of the traditional marathon, Oct. 27, and kick off on the National Mall in D.C. Some of the course will include portions of both the 10K race and regular, 26.2-mile marathon offered as part of the event. Registration for the ultramarathon will open on Feb. 27, but will be limited to 500 participants. The fee is $200 to participate. Runners in the new event will earn a U.S. Marine Corps War Memorial themed medal, a quarter-zip and commemorative bib, organizers said. Registration for the traditional marathon will open in March. The event generally brings more than 30,000 runners to Arlington each year.